Here I’m showcasing my awesome collection of 1:18 scale WWII German Soldiers. Actually, I was shopping around the local CSC toy flea market when I came across a seller who was selling off his 1:18 soldiers. And then I realized couldn’t remember whether if I already have some of the figures that were on sale, as I had been acquiring figures from both the flea market and online. So this showcase will serve as a useful reference. 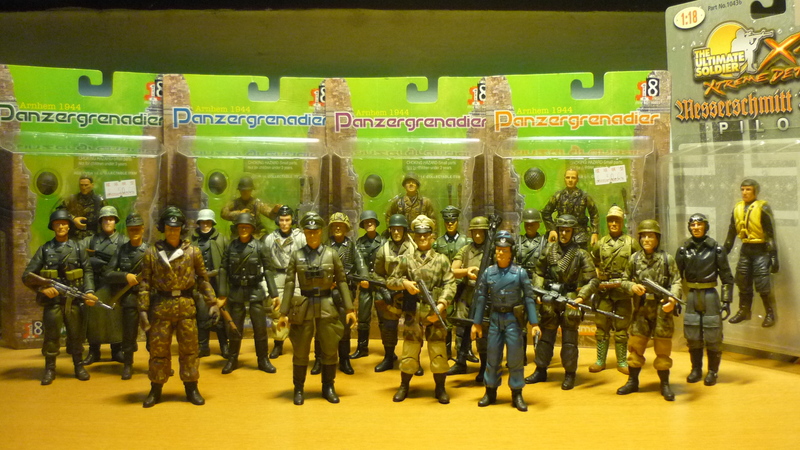 Most of the 1:18 WWII soldiers come under the brands such as “21st Century Toys” (under their “The Ultimate Soldier X.D.” line), “JS International”, “Dragon Models”, and a couple of others. Many of these lines have already been discontinued for years. 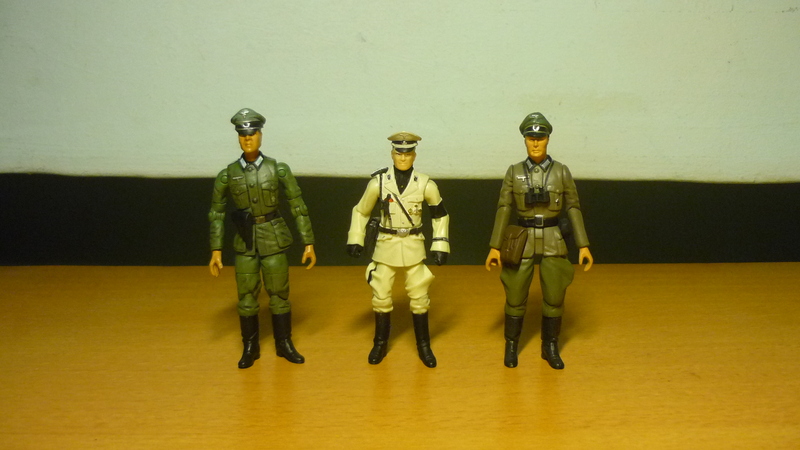 This set of six German soldiers were apparently released by “JS International Limited” under the “Century Soldier” series. Their website had long gone defunct, but here’s an Internet Archive snapshot of the webpage which had once featured these figures. 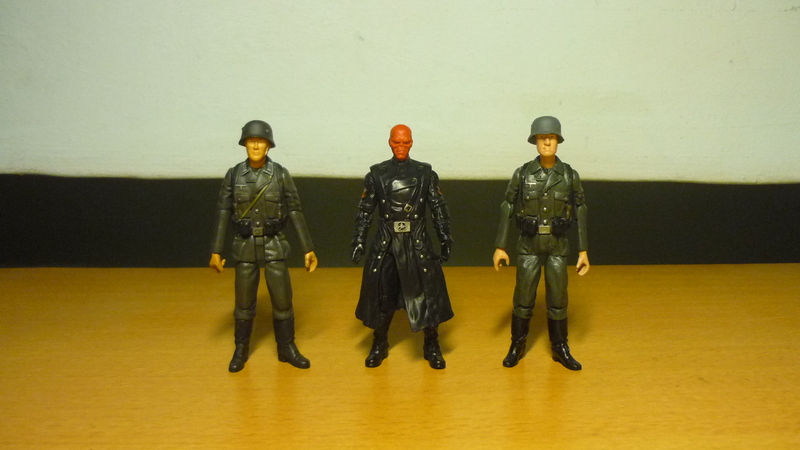 An online search reveals that these figures were previously released under “The Ultimate Soldier X.D. – World War II” series, which provided the names for the figures, for the first five anyway. The blue uniform figure is of a smaller size when compared with the others, which suggests that he may not have originated from the same source. I bought this set from an online seller. 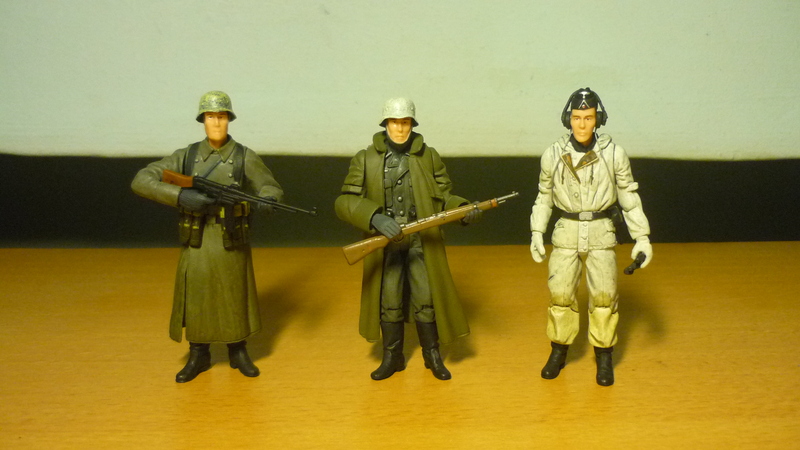 They belong to “The Ultimate Soldier X.D.” line, under the “Fallschirmjager” Series. 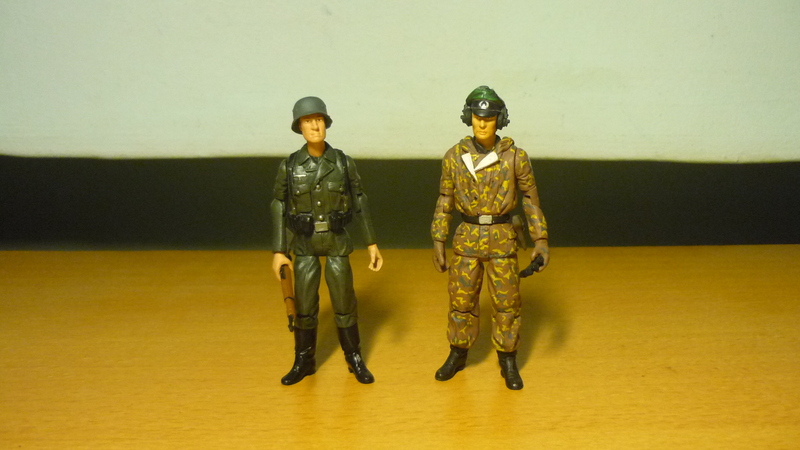 There’s also a sixth figure in this series, a “Corporal Wenzel”, who was not available. “Fallschirmjager” is the German word for paratroopers. 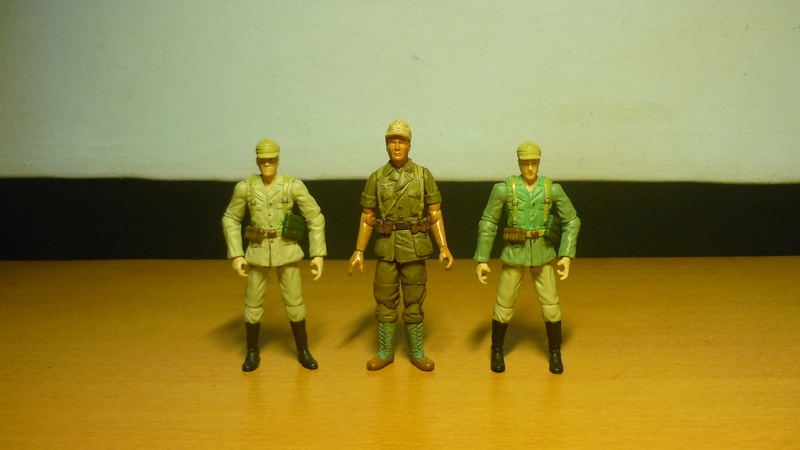 These three figures belong to the “Ardennes Infantry” series from “The Ultimate Soldier X.D.”. Note that the names are the actual designations as given on their cards. “Closed long coat” bears a strong resemblance to Pvt. Hugo Wolff from “Battle of the Bulge” series, but on closer inspection I confirmed that “Closed long coat” is a completely different figure, he does not have the black unit ribbon on his left sleeve, and his helmet is of a lighter green colour. An online check shows that Cpl. Fritz Schuster belongs to the “Battle of the Bulge” series, but he is also packaged together with the 1:18 PAK 40 gun. I’m grouping “Tanker camo uniform” with this series as there are two another figures in this series who’s dressed up in the same camouflage scheme as him. I have my conjecture that “Tanker camo uniform” originally came with the 1:18 Panther Tank. And if you look closely, you will find that “Tanker camo uniform” shares the same face as the German Officer from Batch no. 1. 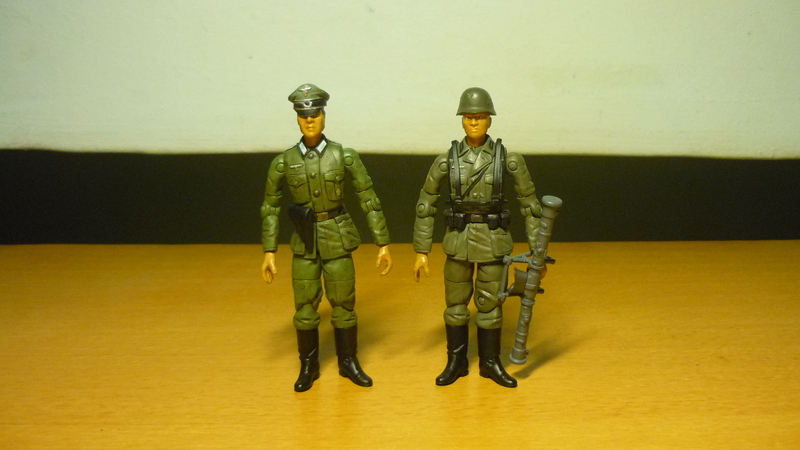 These two figures belong to the “Wermacht” series, whereby “Wermacht” is the name of the German Army. Lt. Klaus Bucholtz is an artillery crewman, he is carrying an artillery range finder. 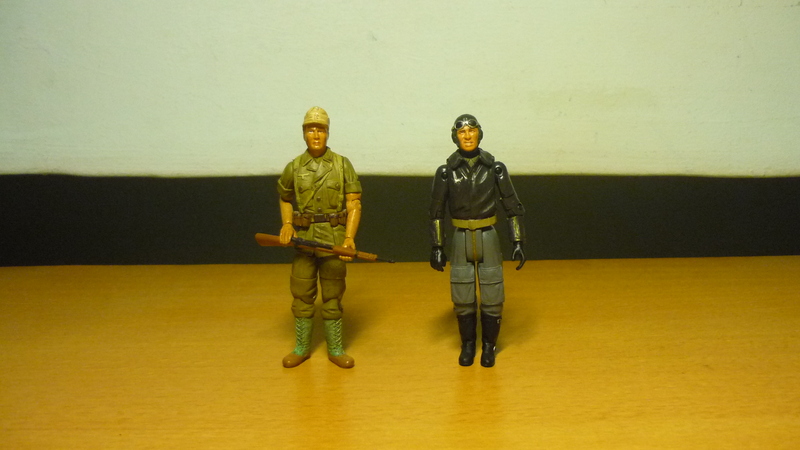 Here’s a couple of figures which I haven’t assigned to any particular batch yet. Pvt. Dieffenbach is the only DAK figure I have collected thus far. The Me-262 Pilot originally came with the 1:18 Me-262, but I’ve bought him as a loose figure. 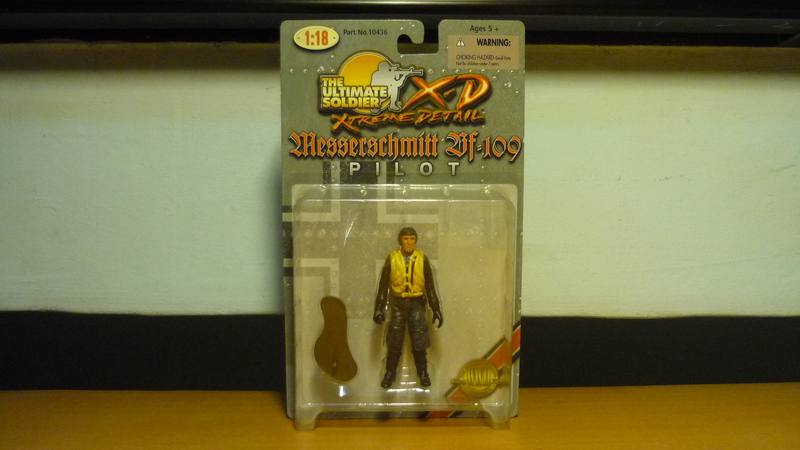 I have also acquired a Messerschmitt Bf-109 Pilot. Mint on card. 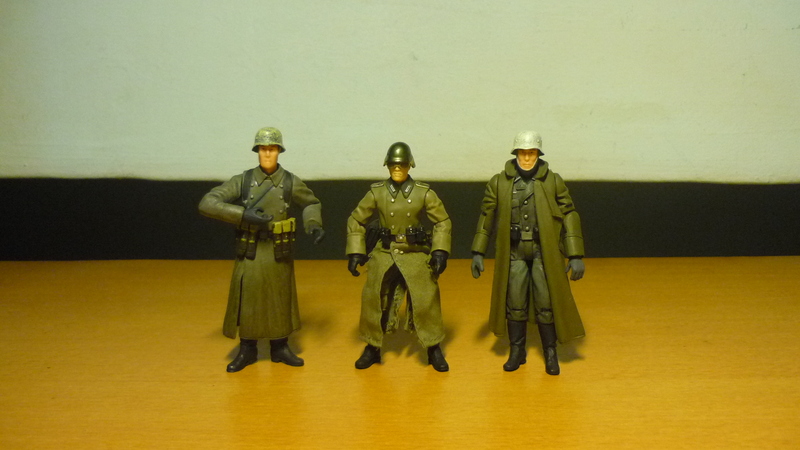 This is a set of four 1:18 German soldiers from “Dragon Models”, of the “Arnheim 1944 Panzergrenadier” series. Here are some comparison pictures for size references.